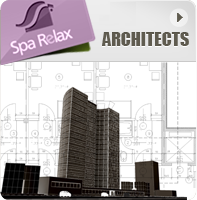 "Spa Relax" is a Bulgarian boutique company, specializing in construction of spa and wellness centers and pools. Our team consists of 20 highly educated and ambitious experts, open to innovations, dedicated to their clients, striving to respond in the best possible way to their needs and desires. We rely on good, efficient and long-term relations with our clients. Mastery, combined with the latest technologies – planning and realization of all from one source – that is what Spa Relax believes in. We, the team of Spa Relax, will help you create and develop your spa philosophy by putting all our knowledge, experience and creativity in the design and the execution, in a way so that we can satisfy the most refined requests. We will help you for the different phases through which you have to pass for your spa project, from planning and consultation, the interior finishes to the construction and installation. 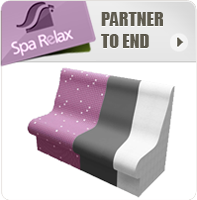 We offer you solutions, which will bring your spa zone to a finished state and ready for operation.